Law enforcement officers would not be required to take the state’s concealed carry weapons course under a bill heard by the Judiciary Committee March 1. 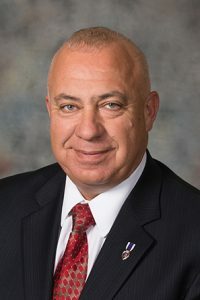 LB500, introduced by Gordon Sen. Tom Brewer, would allow off-duty law enforcement officers in good standing to carry a concealed weapon anywhere they are authorized to carry while uniformed or on duty. Any person carrying a concealed weapon under the bill would be required to provide photographic identification issued by his or her law enforcement agency. Retired officers would be required to prove successful completion of an active duty officer handgun training course within the most recent 12 months. Pierce County Sheriff Rick Eberhardt, spoke in favor of the bill. He said law enforcement officers interact with violent individuals regularly and thus may feel the need to carry a concealed weapon while off duty for personal protection. Ray Essman of Taylor, a retired federal law enforcement officer, also testified in support of the bill. He said law enforcement officers are trained to take action when public safety is threatened. The confusion over whether to act when off duty would be clarified under LB500.